JoyBound: Apothederm Acne Treatment Review + Giveaway! 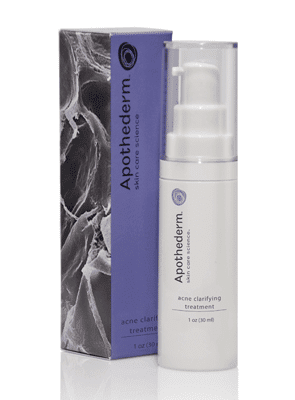 Apothederm Acne Treatment Review + Giveaway! First, let me just say that before being given this opportunity I was already in love with this company. You see, they make this stretch mark cream. It's AMAZING. I honestly wasn't expecting much when I was sent that product because I probably didn't want to get my hopes up. I used everything I was supposed to during my pregnancy to avoid stretchmarks. FROM THE DAY I FOUND OUT I was pregnant. It went like this; I found out I was pregnant, hugs and kisses, lunch with friends, then crazy hunt around Sucre (the city in Bolivia we were volunteering in at the time) to find something for ma belly. I ruined countless shirts with the crazy amounts of oils, lotiones, etc that I rubbed myself with. Yet somehow... around week 33 DUN DUN DUNNNNN, they made their appearance. They were never that bad but it really bothered me. While I still do have them ( I didn't use the cream as long as I should've) they are very mild. My skin is much tighter and smoother. The cream really did work. I promise. I'm honestly still shocked with the results. And now onto the reason for this post. Their Acne Clarifying Treatment. I have very sensitive skin. I switched to dove soap when I was pregnant with Cruze and haven't used anything else in the way of skincare since. While I don't get crazy breakouts, I do have blemishes from eating dairy. Yes, I shouldn't eat dairy, I breakout when I eat it, BUT I eat it sometimes anyway. My skin has also been sad sad sad these past few months. Just blah. When Cruze came out, my glow went with him. So needless to say, I jumped at the chance to review this product. Our new Acne Clarifying Treatment is a two-in-one problem solver to help eliminate breakouts and minimize pore size. This formula is packed with a beta hydroxyl acid and peptide to help reduce the appearance of blemishes and future breakouts. Oil-free, fragrance free and dermatologist tested. Oil free, fragrance free? That works for me because as I mentioned, my skin is soooo sensitive. Since I want to keep it real and honest I will give you the good AND the bad. The bad - The spots I used the treatment on were left very dry. Did not look good under makeup. I just used it at night to avoid that problem and reduced it to just once a day. This really helped. I don't think this would have been an issue prior to baby. My skin has really changed. The good - it's very easy to use. With a very active baby and plenty of other responsibilites, I need an easy routine. This fits well. I like the packaging and the pump makes it even easier to use. A little goes a long way and doesn't leave a yucky residue. It also didn't bleach my pillow case like many other products have. The really good - IT WORKS. It works VERY VERY well. Even though I only use it once a day (if that), I wake up with clearer skin every time. The blemishes I get go away very fast. I love that! It probably works faster than any other acne treatment I've ever tried. And as a teenager, I tried many. The best part?? One of my lovely readers will get to try this amazing product for FREE. And what's better than free? Enter below! This is an awesome giveaway! Since I got knocked up with bambino numero dos, my skin has totally changed. Break out central. My skin is awful since Fynn too! My old products aren't cutting it any more, so I'd love to win this and give it a try. What's a good moisturizer for sensitive!, red, acne prone, oily skin? I've broken out a lot recently and homeopathic acne treatments. I need a good daytime moisturizer to combat with the acne medication i used at night that makes my skin feel red and raw and hard to move. I am extremely impressed together with your writing abilities as smartly as with the format on your weblog. is uncommon to peer a great weblog like this one nowadays. Thanks for share much more infoabout acne treatment. If some one desires expert view concerning blogging after that i recommend him/her to visit this weblog, Keep up the fastidious job. 'Leading stakeholders in renewable insulation energy technologies from the West to developing countries, including most European countries, many developing countries. The $40 6 billion invested in green energy investment have put downward pressure on prices. Columbian emerald is easily the most popular of these types. I priced much the same item out at Sears for more than $50. Metal allergies- when you have a skin allergy to nickel or any other metal that might be mixed using the jewelry, you should think of 22 or 24 karat gold. of calling devices that it is possible to use for the next Turkey hunting Alabama. may need and click your _Hack into_ button.